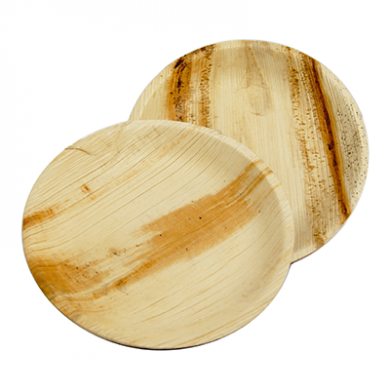 The palm leaf round 7 inch plate is completely compostable. Fine with oily foods and safe for microwaves and ovens (where there is no open flame). 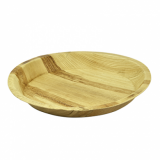 A perfect disposable eco-friendly plate for parties and events! 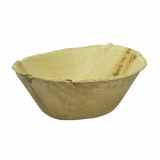 Our palm leaf products are made from collected leaves which are soaked in spring water, heat pressed into shape and then dried. 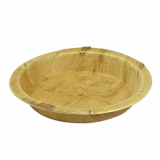 This palm leaf plate is a completely natural leaf product. 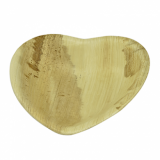 Each palm leaf product looks slightly different because of variations in the leaf pattern, colour and thickness. Natural leaves pressed into shape. Ideal for hot or wet foods.